7109 Grandview Extension, Newland, NC 28657 (#3364370) :: Robert Greene Real Estate, Inc.
Picturesque 3BR/3BA log home with modern amenities and space for everyone on 1.97 private acres in Gingercake Acres. 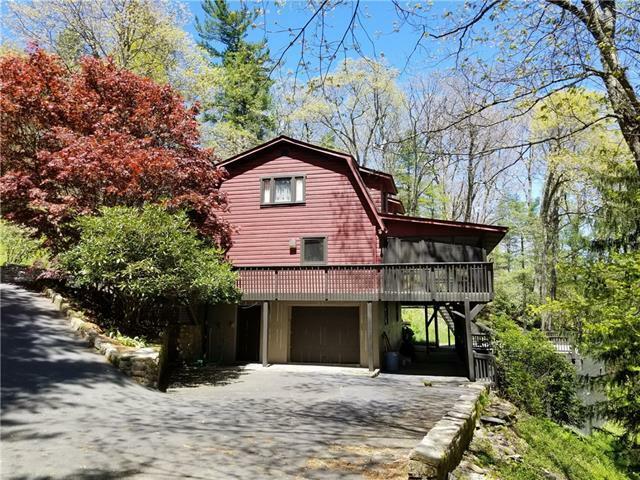 Stunning views of Grandfather Mountain from the full length screened porch and decks. The comforts you are accustomed to in beautiful upscale kitchen, open living area with gas logs, library/game area, and Master Suite with large walk-in closet and updated bath - all on main level. Two additional bedrooms with private baths on second level. Basement Rec Room, not included in total square footage, served as an amazing workshop for a previous owner. Additional unfinished space and single garage in basement. Woodsy northern exposure and nearly 3900 FT elevation, so you will love the cool summer mountain breezes! Just a few steps to trails leading into the Linville Gorge Wilderness yet still within walking distance to Gingercake neighborhood pool, play ground, horse shoes, and more. Most furnishings stay. Seller will pay Gingercake initiation and water transfer fees. Sold by Mccombs & Hoke Real Estate.